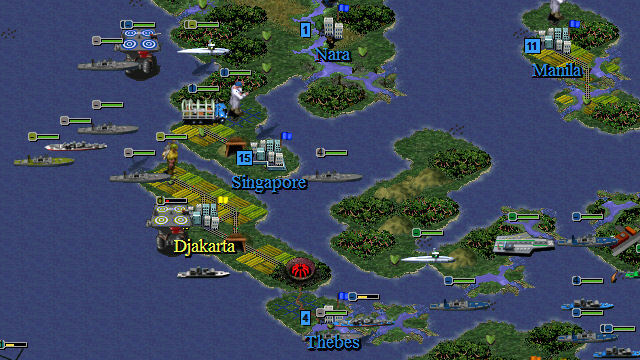 An official scenario for Civilization II: Test of Time by MicroProse designer Mick Uhl. It was as if the hopes and joys expressed by all peoples of the earth in the millennium celebrations had magically taken form and permanence. Societies actually seemed to be getting along and leaders, of one accord, realized that they could gain more by cooperating than by dominating. Predictions of a global economy leading to global harmony seemed on the verge of finally coming true. In the past few days, however, an inexplicable and disturbing event has occurred that has rocked this new-found optimism about the fate of mankind. People, who call themselves Fabians, and claim to be from our future, have settled in the wilderness of Siberia. They refuse to negotiate with either the UN or any government and seem intent only in preparing for war. Already they have begun probing for weaknesses in our defenses with unknown weapons of awesome power! To win, you must discover a way to remove the Fabians from the pages of human history. 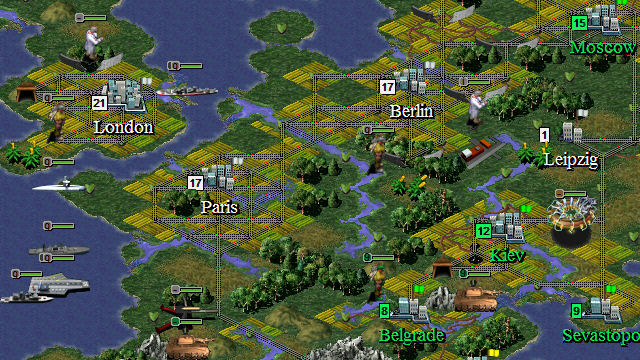 One obvious way is to conquer them outright by destroying or capturing all of their initial cities in 450 turns! That may prove to be an insurmountable task, however. If you can survive their initial onslaught, other more subtle means to victory may eventually present themselves. You need to install this scenario before you apply the version 1.1 game patch, as that patch also modifies this scenario.